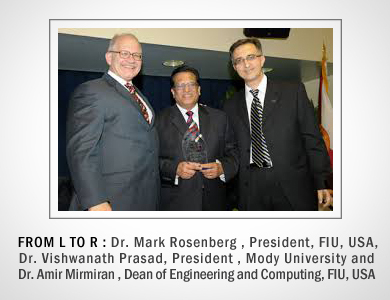 Mody University of Science and Technology has signed a Memorandum of Understanding with one of the leading research universities of USA and Miami’s first and only public research university, Florida International University. This partnership will result in more global exposure and academic opportunities overseas for the students of Mody University. 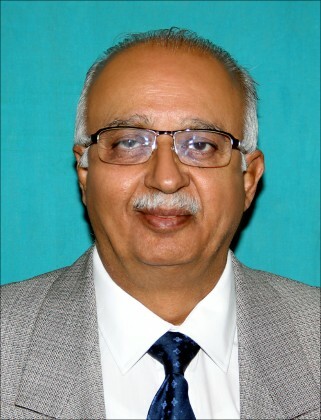 Dr. Vishwanath Prasad, President of Mody University and an internationally renowned researcher and highly successful US academic leader believes that this tie-up will facilitate a true partnership which will benefit students and faculty of both the institutions. This understanding will help students avail new global opportunities, such as study in USA at Master and Doctoral levels and get connected with the Latin American and Caribbean countries. Ranked first in the nation in awarding university degrees to Hispanics, FIU has a student body of over 53000 and is a leader in building partnerships with the universities in South America and the Caribbean. FIU is designated by Carnegie Foundation as both a research university and a community-engaged university and is located in Miami, which is an ideal place to enjoy a beautiful beach life and pursue higher studies as well. – The feasibility of collaborating on the design, development, and implementation of workshops and conferences. Initially the collaboration between the two universities will be between the engineering and computer science programs. The FIU College of Engineering and Computing offers ten BS/BA, eleven MS, and six Ph.D. programs in various fields of Engineering, Computing, Construction and Management. FIU also offers global and dual degree programs. On the other hand, Mody Universityalso offers BTech, MTechand doctoral programs in engineering and computer science. This will definitely add a depth to the quality of education that Mody University imparts. The cooperation, later, will be extended to management, sciences, arts, and law.